While there is no shortage of activities in NYC, there’s only one place where you can overdub Eddie Murphy’s voice in Coming to America and look at memorabilia from A Nightmare on Elm Street and The Exorcist. The Museum of the Moving Image opened in 1988 and is conveniently located next to Kaufman Astoria Studios. From 2008 to 2011, the museum underwent a $65 million expansion which doubled its size. It now holds more than 130,000 artifacts with 1,400 on display. After going through the Television Set and Video Camera exhibits, younger visitors may be shocked to learn that you couldn’t always fit a television and video camera into your pocket. Yes, young ones, you used to have to go to an arcade to play video games! It’s interesting looking out at the chaos of Manhattan from the comparative calm of Socrates Sculpture Park. Open from 10 AM to sunset, the park gets a bit livelier in the summer months when they have free Tai Chi and Yoga as well as outdoor films. Who wouldn’t want to look out at Roosevelt Island while in upward dog? Exhibitions change, so it’s not the kind of place you visit just once. If you don’t feel like walking the 8 blocks from the Broadway station, take the Q104 bus. The Long Island City Art Bus stops there on weekends from May to early September. Isamu Noguchi (1904-1988) was a Japanese-American sculptor, who is often credited with making Long Island City what it is today. The Noguchi Museum was designed and founded by Noguchi in 1985 to represent his life’s work. The museum is housed in a two-story, 27,000 square foot former industrial building, which has ten galleries. 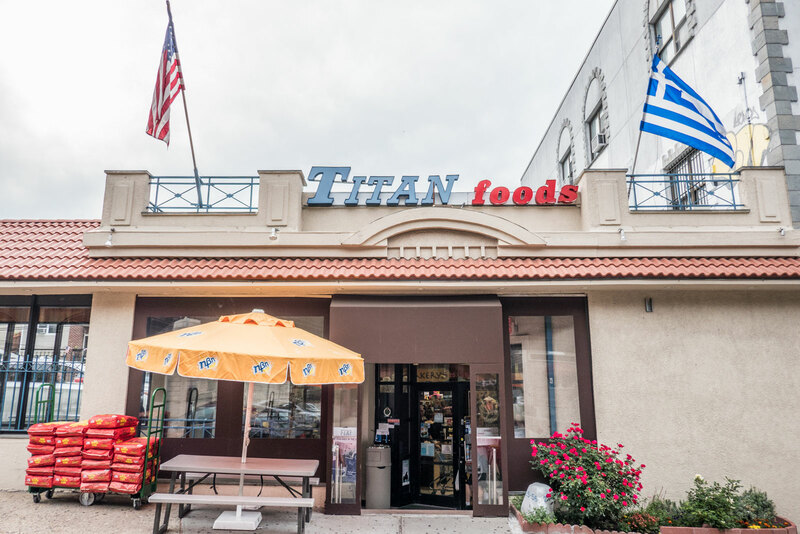 Titan Foods has been in Astoria for more than 30 years and is the largest Greek grocery store in North America. They have a bakery, olive bar, prepared foods as well as fresh cheeses. Although the stretch of 31st Street between Broadway and Ditmars Blvd is lined with Greek restaurants and other bakeries, this is the one-stop shop for all things Greek in Astoria. The fact that they have a large parking lot in a generally congested area doesn’t hurt either! Steinway Street (between 28th Ave and Astoria Blvd) is unofficially known as “Little Egypt.” If you are not in a hurry and want to experience authentic Egyptian cooking, Mombar is the place. Just look for eyes carved into a facade. Guests are often served by the same man doing the cooking (Moustafa). While the exterior of the building draws you in, the walls inside are also adorned with works of art. Moustafa is an artist. Even the couscous is served in a pyramid shape. Although the printed menu is pretty basic, it’s the specials that are the most authentically Egyptian. No part of the lamb goes to waste. Brain, cheeks, testicles, and tongue are all fair game. Christina Chang was unable to swallow bull testicle on Globe Trekker Southern Spain. Come to Mombar to find out if lamb might go down any easier. If you don’t feel like walking to Steinway Street, take the M60 bus. You have such a knack for finding these interesting and intriguing places to visit. Moustafa sounds like such a talented man, chef, artist and still serves the dishes. Wow! Socrates sculpture parks sounds like the best place 🙂 Outdoor movies and fitness classes! sign me up 🙂 Love all the little treasures you find! wow, what a fab look into queens. Love the museum. Love the sound of the Arcades Classic exhibit, what an awesome idea! These sound like amazing places to stop. I didn’t know about the Noguchi Museum. I need to see it! I could think of so many place I want to visit in Queens, Noguchi museum being one of them and Socrates another! Two museums and Egyptian food, that’s a winner right there! It would be nice to spend an entire day here just touring and walking around the area! I love the sights! I heard so many things about Queens, would love to visit one day. I absolutely love all the museums that are in NY. Museums in general are cool. I would love to visit Socrates sculpture park and this post gave me so much information to explore in Queens on my upcoming trip as I got only chance to explore Brooklyn and Manhattan on my last trip! Mombar looks fantastic! My hubby likes eating brains and other disgusting stuff, so he’d love it! You do manage to dig out the quirkiest places; love that! Another great job of pulling everything together. Love the Egyptian food suggestion. That place looks cool. Sounds like some great places to put on a must see list for NYC. Egyptian is one food i have never tried before and i would love to. 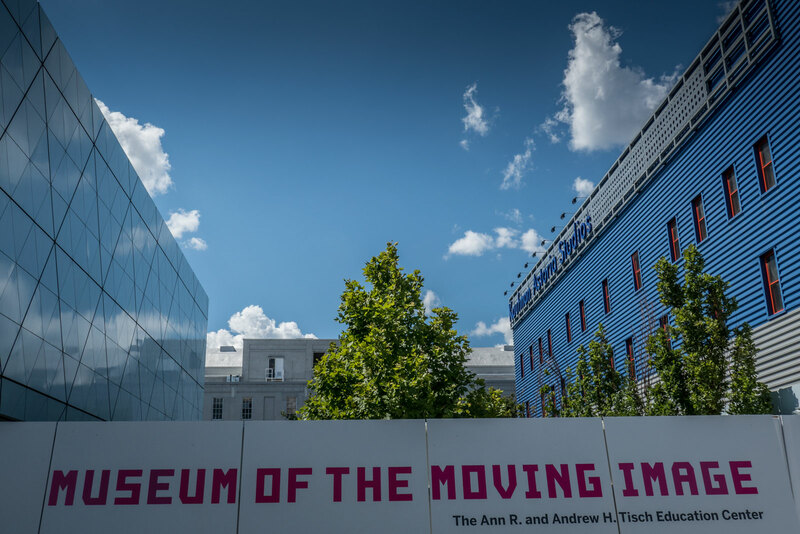 Museum of the Moving sounds like a treat… so much to do in NYC. I much prefer checking out unique art spaces and collections like the ones you’ve featured. It always feels more personal and exciting to come across something that speaks to you in an intimate setting rather than a large gallery. I wouldn’t mind topping it off with some greek food, either. I think I miss that more than anything living in Korea! I would like to visit that sculptural park and definitely that Egyptian restaurant! It looks really cool there, from the in- and outside. Not sure if I would eat the balls but recently I tasted lambs head, the whole shebang with tongue, brains, cheek, … Not as bad as I thought it would be so I would definitely try the kitchen from Mombar! NYC is such an awesome place to explore. Mombar looks incredible. I love that storefront. Socrates Sculpture park seems interesting, especially since you say that the exhibits keep changing. Nice post with some unusual places. I love local delights. The Titan Foods store sounds fascinating. I’ve never been to a Greek grocery store, but it is something I would love to poke through sometime. Gosh darnit. i was just in Astoria 2 weeks ago looking for something to do in that area right after we landed in Laguardia. This is an awesome list. My fiance and I would have LOVED to have gone to the Arcade Classics exhibit. Next time for sure. All of the places are fascinating, but top on my list would be the museum of the Moving Image. Hollywood movies history is so rich and interesting. I am not sure I would order that particular dish from the menu, doesn’t sound or look too appealing, lol. The Noguchi museum sounds very intriguing, I would like to visit it. Haven’t been to Alaska yet, eh? You should go! That’s the only state I haven’t seen yet! Socrates sculpture park looks amazing! I love Greek food and would love to visit Titian Food! I didn’t know this existed in NYC! Super informative post! Some great photos. I have only been to New York once in 1984, guess it is time to go back again. It’s changed a lot since I was 5 years old lol! Hey from a fellow New Yorker. Great recommendations! Fun list of museums! I really like how you kept them all along the train line. That’s really convenient. Looks like I’ll have to hop on the N train to explore all those cultural jewels! I love the pictures. What lense do you use?